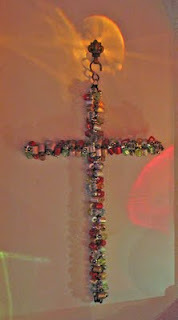 A halo above my beaded cross . 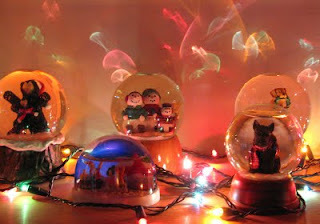 . .
Anne's snow globe display . . .